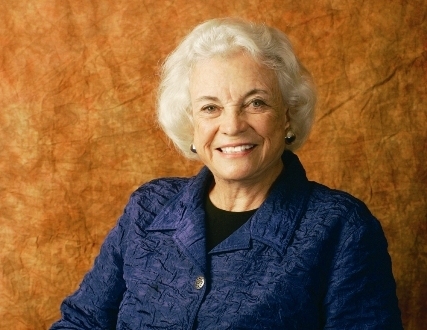 Founded by retired Supreme Court Justice Sandra Day O'Connor in 2009, iCivics provides youth access to engaging civics education through 16 online educational games that teach civics concepts. In 2011, the Baylor University School of Education, Baylor Law School, and Waco and Midway Independent School Districts collaborated on a nine-month long study to test the effectiveness of iCivics on primary and middle school students, which led to the development of the iCivics Baylor Model. Currently, faculty and student researchers are working with the iCivics national team to further develop the model for replication at other institutions. WACO, Texas (June 20, 2012)- Baylor University has created the iCivics Summer Fellowship program sending a professor and two students to Washington, D.C. this week to work with the iCivics national team. 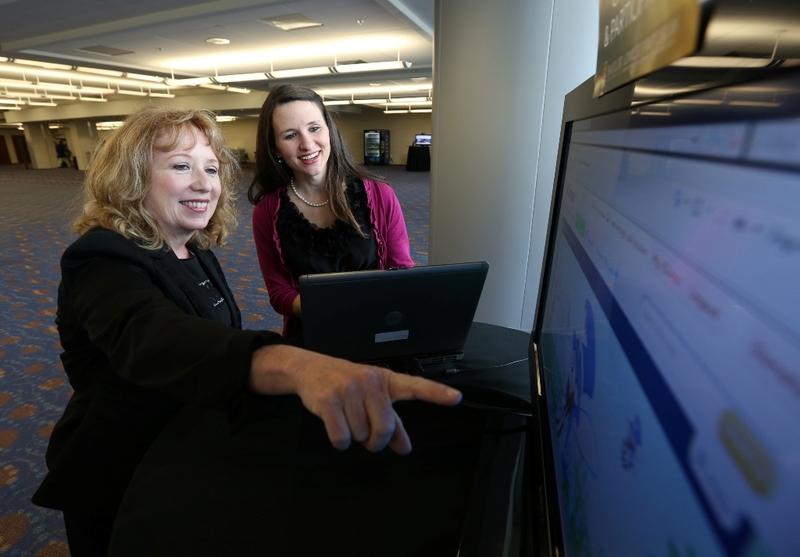 The iCivics fellows include Dr. Karon LeCompte (School of Education) and students Alaina Smith and Amy Stone. 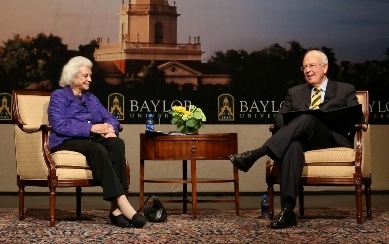 WACO, Texas (April 30, 2012)- A standing room-only crowd at Baylor University's Waco Hall enthusiastically greeted retired U.S. Supreme Court Justice Sandra Day O'Connor as she joined Baylor President Ken Starr for "On Topic". WACO, Texas (April 22, 2012)- Baylor University President Ken Starr will welcome Justice Sandra Day O'Connor - the first female member of the U.S. Supreme Court who served from 1981 until her retirement from the Court in 2006 - to the Baylor campus for "On Topic with Ken Starr," a series of compelling conversations on contemporary issues.